PlugNGO is the newest tool to help you drive faster, smoother. It removes delays in the accelerator to help you manoeuvre your car easily-even on difficult terrain! 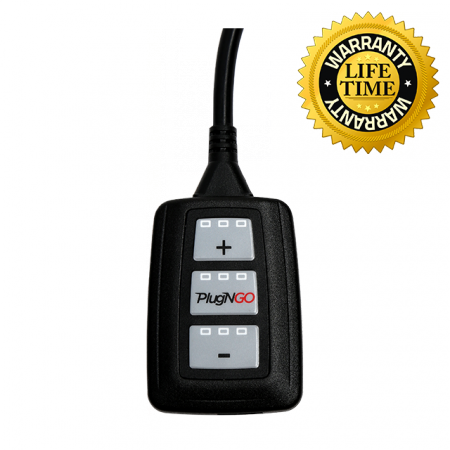 PlugNGO alters the acceleration curve on electronic throttle controlled vehicles. It digitally alters the shape of the curve increasing throttle response and improving your overall driving experience. If you fit a PlugNGO then you’re guaranteed to discover the real performance of your vehicle. 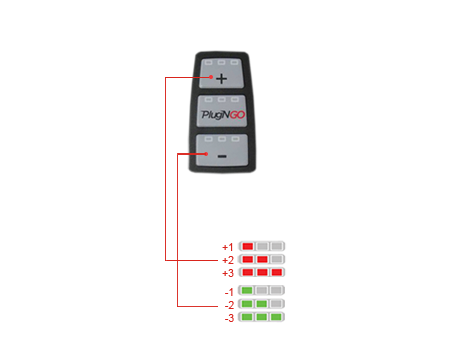 PlugNGO improves acceleration times whilst overtaking and during hill starts. It’s safe and easy to use, just plug and go! PlugNGO has been developed to increase throttle response in modern cars by removing delays in the accelerator to enhance driveability. It also improves your safety by improving acceleration times while overtaking and during hill starts. Throttle Boost! In modern vehicles, the accelerator cables have been replaced by an electronic system that acts as a speed regulator. However, this speed regulator also delays the vehicle response to the pedal, effectively delaying acceleration. PlugNGO shortens response time and lets you accelerate faster, easier. Choose from six levels to optimize the curve. You can increase the curve through 3 levels and reduce it through 3 levels. OFF mode for driving on very slippery road surfaces brought about by ice, snow, or heavy rain. 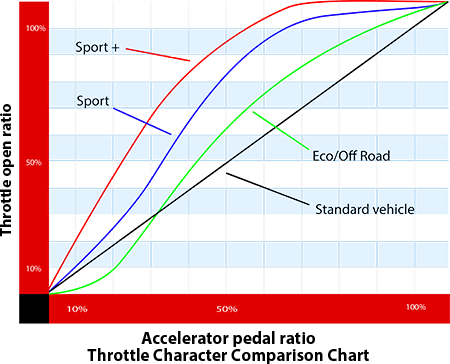 In Sport mode, throttle response is increased by up to 16% and is suitable for most situations. Perfect for merging quickly with road traffic or when overtaking is required. ECO/Off Road mode is suitable for stop and go driving. It guarantees improved response in the lower rpm range and is programmed to achieve economical fuel consumption. PlugNGO is available through a nationwide network of Premium Dealers, please use the below map to find the closest PlugNGO dealer for you. Easily the most effective product I have ever fitted. Sure a bull bar is noticeable but you don't get to see or feel it in use every day. Suspension certainly makes a big difference, especially when you push the vehicle. But the PlugNGO can be felt every time you touch the accelerator pedal. I have never experienced a product that has such a noticeable effect on how the vehicle drives. I have one on my 2010 lux and love it once you find the setting that works for you it is great. Plugngo is the way to go fitted mine 7000 km a go just done the Gibb river road my 2013 Colorado and it's the best money spent in a long time in the truck, Thanks!